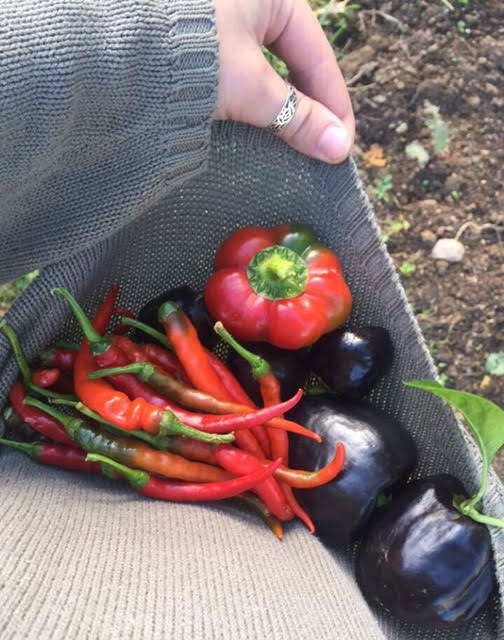 This fall has been full of harvesting and planting. We started seeds from Sow True Seed last spring and were able to harvest from a few of the plants we started. Some of those were Cayenne pepper, Ashe Co. purple peppers, Chioggia beets, evening star sunflower, and rainbow beets. 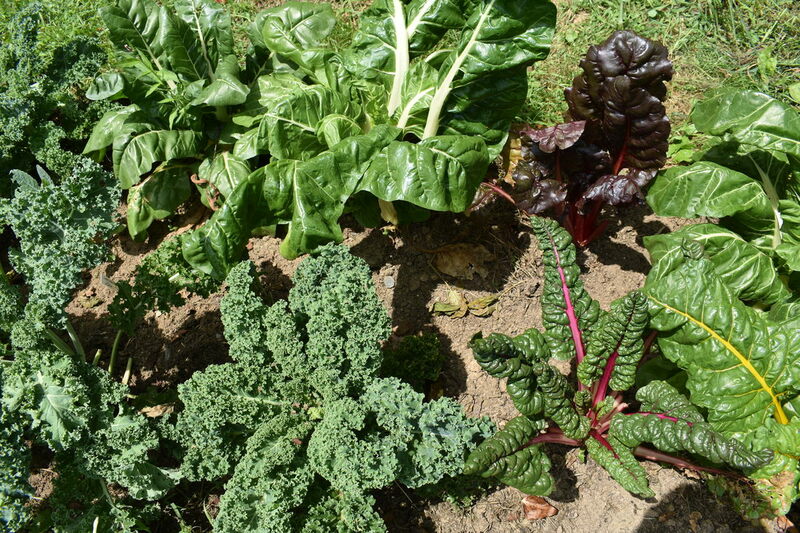 Additionally, a kind Two Rivers parent, Alan Hansen, donated kale and chard which has made the garden even more colorful and delicious. Kale is one of the students favorite munchy in the garden. 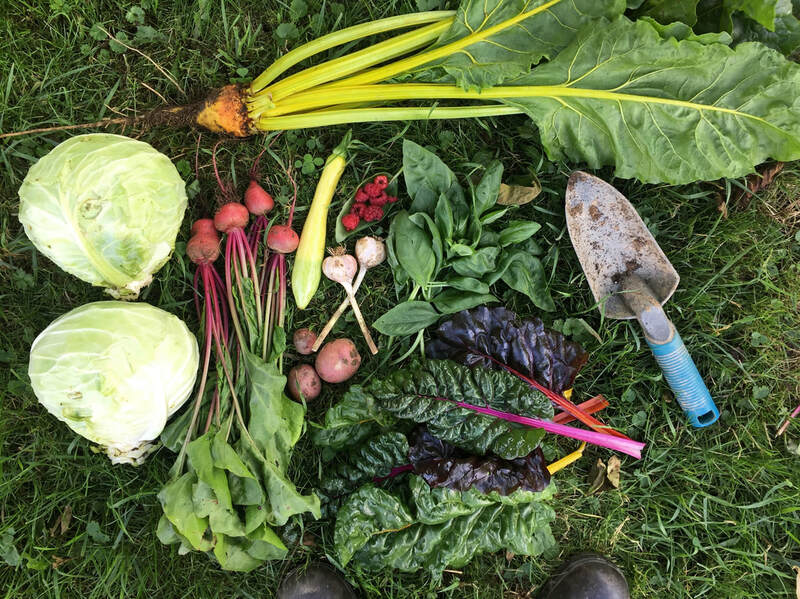 It is always encouraging seeing kids who get excited about eating something straight out of the garden. Before classes eat, they usually plant. Planting is always a relaxing and exciting activity. This fall, the 1st, 2nd, and 3rd grade classes have been extremely involved in planting the fall crops. 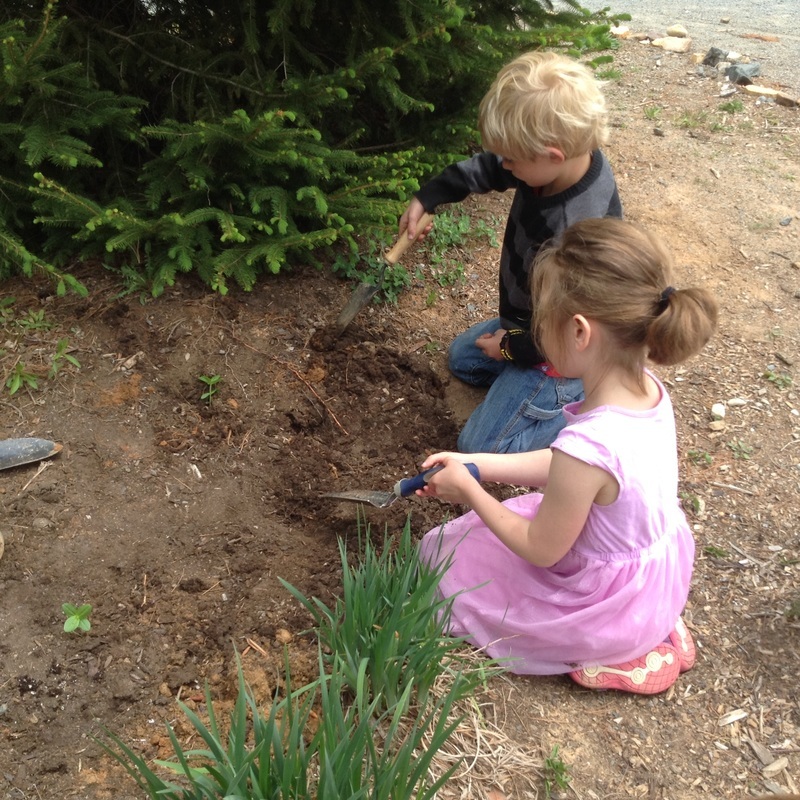 Planting is not only fun but a good character building activity. 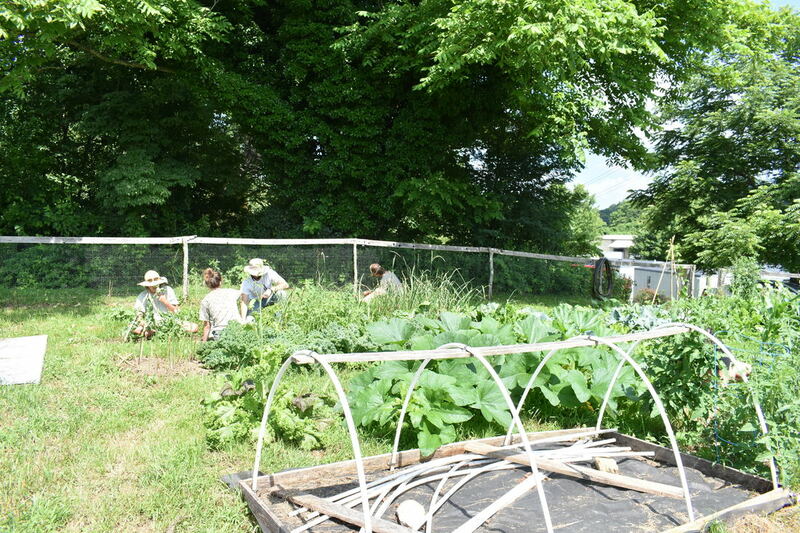 The students are able to decide what area of the garden they want to plant and work as a team to get the job done. 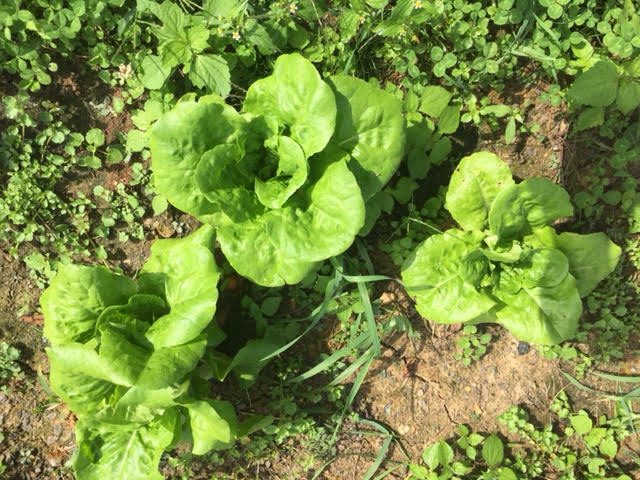 This fall we have planted butter crunch lettuce (pictured below), Russian kale, collards, cauliflower, and romaine lettuce. This fall, we have been learning about the amazing properties of comfrey. Not only does comfrey have medicinal uses but also uses for garden fertility. We have used comfrey as a green fertilizer in our beds. Before we plant, we take comfrey leaves and shred them up and work it into the garden before planting. 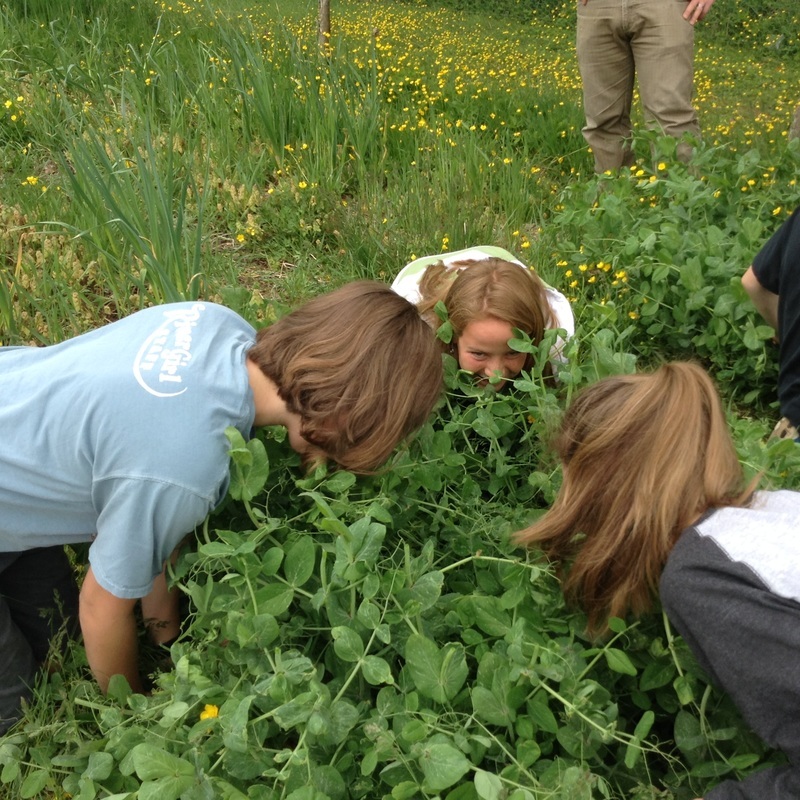 Comfrey has been a great tool to teach the importance of soil health. We are also preparing for winter. Now, the garlic is planted and the cover crops are sowed. We are hoping the greens we have planted will be able to survive the frost. While the temperatures are low this winter, we will work on garden bed borders and garden beautification. 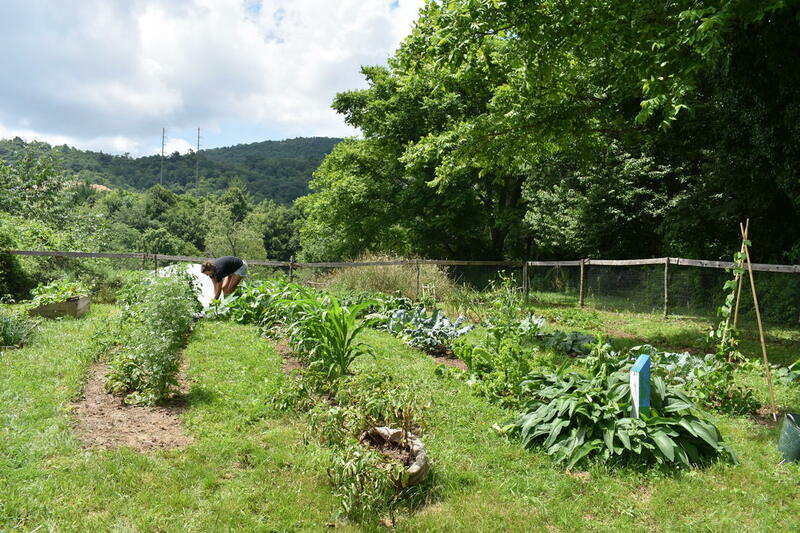 Two Rivers was recently awarded a HCLF and Lettuce Learn grant, which garden coordinators will use to purchase storage bins and supplies to create borders for the school's garden beds. 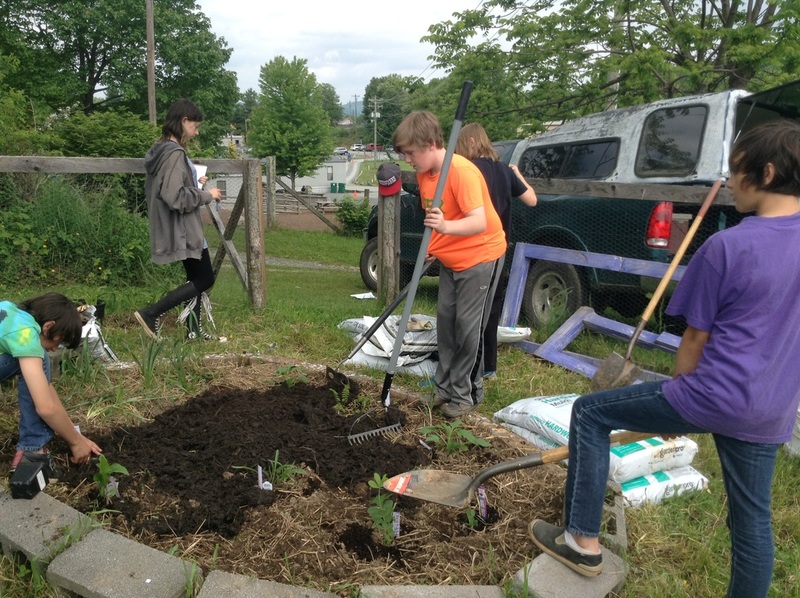 The intended outcome is to make the garden an even more inviting, organized, and engaging place for students to learn. 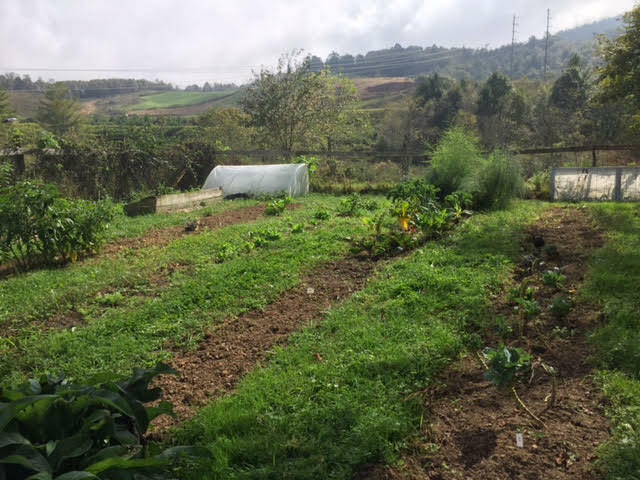 The school garden currently has 5 garden rows, a pollinator garden, a composting system, a miniature hoop house and a small cold frame. Classes schedule times to visit the garden throughout the school year. 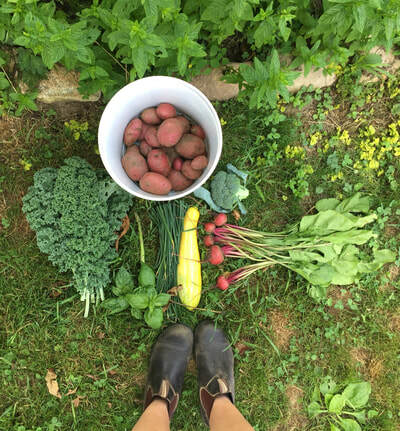 "This is my first real hands-on experience managing a garden plot and I have grown as much as our plants have. It's been tough but I am grateful for the support I have received from our community. I love this little garden and all it stands for."